Rensso Mora Colque obtained this Friday (24) his Ph.D. title by the Graduate Program in Computer Science of the Federal University of Minas Gerais (UFMG). His dissertation, “Robust approaches for anomaly detection applied to video surveillance”, was guided by Sense head, professor William Robson Schwartz and proposed three approaches to detect anomalous patterns in surveillance video sequences. A topic that attracted significant research interest in recent years, anomaly detection is a hard problem due to the dependency of the characteristics and the context of a specific scene and although many contexts could be similar, the evets that can be considered anomalous are infinity and cannot be learned beforehand. The first approach, simple to implement and showing promising experimental results, is based on a handcrafted feature descriptor that employs general concepts such as orientation, velocity and entropy to build a descriptor for spatiotemporal regions. Called histograms, these descriptors are so compared and allow to detect anomalies. Based on human-object interactions, the second explores the scene context to determine normal patterns and finally detect a possible anomalous event. The third is a novel method that uses semantic information of people movement and trajectory. The source to describe the events in the scene – spatiotemporal regions, human-object interaction and people trajectory – is the main difference among them. Ultimately, Colque presented to the literature a new dataset called Badminton, recorded at a badminton match. The work was co-guided by Guillermo Cámara Chávez, professor at the Federal University of Ouro Preto (UFOP) and Rensso’s master degree advisor. 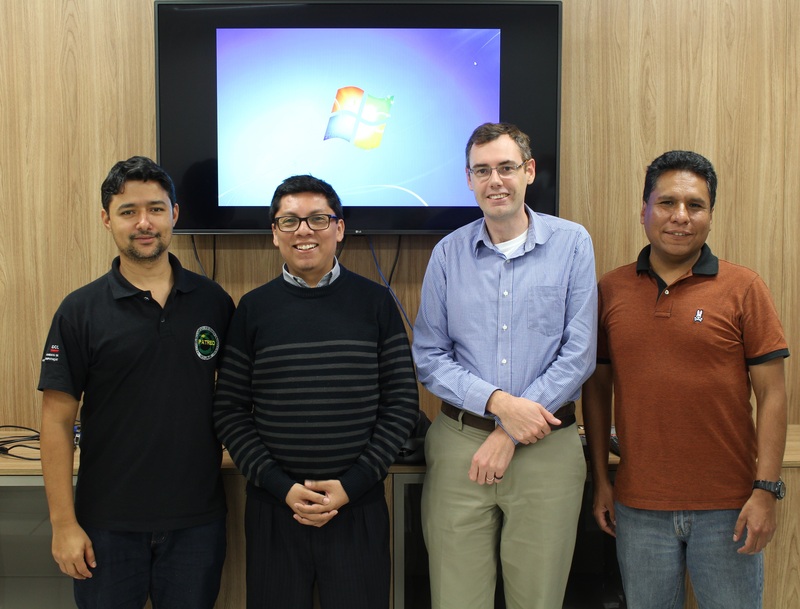 Professors Moacir Ponti, from the University of São Paulo (USP), Cláudio Rosito Jung, from the Federal University of Rio Grande do Sul (UFRGS) and Professors Erickson do Nascimento and Jefersson dos Santos, from UFMG, formed the thesis committee. Peruvian-born, Rensso Colque has a degree in Computer Engineering from the Catholic University of San Pablo (UCSP), Peru, and a master’s degree in Computer Science from UFOP, with a dissertation on the identification of vehicles in traffic videos. Investigated in his career mainly graphic processing, computer vision and anomaly detection. His master’s research was supported by National Council of Scientific and Technological Development (CNPq) and by Foundation for Research Support of the State of Minas Gerais (Fapemig) in the Ph.D.